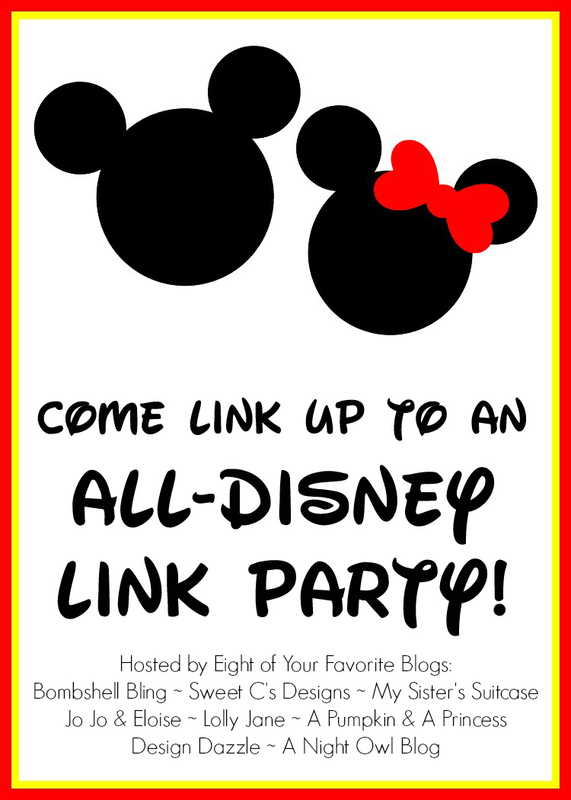 Welcome to the all Disney link party! Have you loved Disney Week?? I have! It has been so stinking fun to see all of the amazing Disney ideas from some of my very favorite bloggers. Aren’t they freaky talented? I am so honored that they chose to participate! They seriously rock. Now it is YOUR turn to show off your Disney Side! We want to see all of your Disney posts! Anything and everything celebrating DISNEY, DISNEY, DISNEY!!! We are talking parties, tutorials, recipes, kid crafts, games, education activities, nail art, style inspiration…..ANYTHING! Bring it on! Be sure to browse through the rest of the Disney Week posts, and pop by the blogs of the fabulous bloggers who participated this week, all of whom are the hosts of this super duper fun Disney link party! I”m not seeing the linky. I’ll try to come back later and link up.